Stacy Rowe is Programme Development Assistant at Sightsavers. Here she writes about how technology – which Sightsavers is increasingly using to support our goals and projects – can make an enormous difference in helping disabled people live more independently. Technology for life (TFL) – formally known as assistive technology – is an umbrella term that encompasses devices (assistive, adaptive, and rehabilitative) for people with disabilities. These can range from specialist software such as screen magnification and text-to-speech programmes, to physical aids like wheelchairs, Braille machines and low vision aids. Access to technology gives people with disabilities greater independence in all areas of life, allowing them to perform tasks they may have previously found difficult or impossible to accomplish. Innovative technological solutions are progressing at a rapid rate. 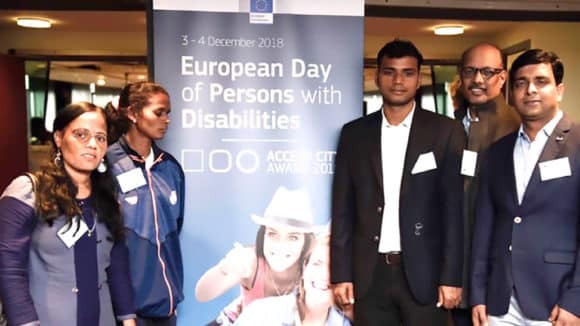 With the increasing use of technology at home, in the classroom and particularly in the workplace, it’s essential that TFL plays a key role in day-to-day living, allowing people with disabilities the right to access the same information and opportunities as non-disabled people, to ensure they are not left behind. In developed countries, there has been a significant increase in digital accessibility for people with visual impairment. More devices are becoming accessible for all, with magnification or screen reader functionality now built in as standard. The move towards gesture- and speech-based commands means that we will see increasing access to digital content, so visually impaired people will be able to perform daily tasks completely independently. Whether it’s establishing a route, checking train arrivals and departures, or finding the nearest pub or restaurant, people with disabilities won’t need to seek assistance beyond the device in their pocket! Digital accessibility has huge implications in the way we manage health, finances, shopping, working and more. It’s essential that no person with a disability should be excluded from this – we need to ensure people with disabilities have access to the technology that’s best for them, regardless of availability or cost. Access to the right software or device can allow someone with a disability to access curricular, sit school examinations, engage with their community, contribute at home, raise a family, play sport, further their education and develop a career – all things that can be part of an independent life and that most people take for granted. Making accessible technology available in low-income settings would completely change the way blind and partially sighted people interact within the classroom, their community and beyond. Currently, access to technology varies dramatically even within countries. 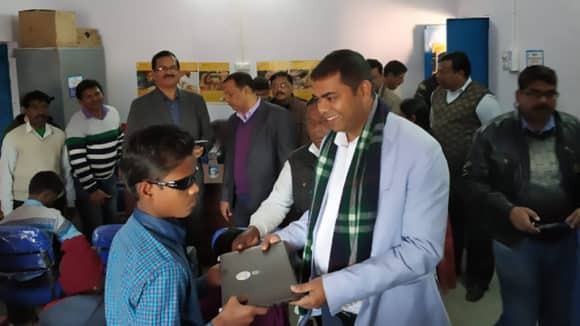 On a recent trip to Bangladesh, a colleague saw students in a primary school older-style Braille equipment, while others had access to two computers and JAWS screen reader software, meaning that children with visual impairment could still be part of the class. The increase of available digital technology means prices are competitive and dropping quickly. Computers, smartphones and their applications are becoming more plentiful, comprehensive and affordable. As the price continues to drop, the likelihood that digital access will impact on Sightsavers’ work rises. It’s vital that Sightsavers doesn’t miss the opportunity to change even more lives as part of this evolution. 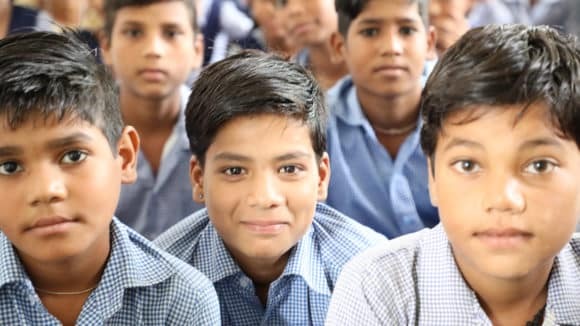 We have already seen innovation projects being launched within our education and social inclusion projects in countries such as Sierra Leone, India and Bangladesh, and Sightsavers recognises that strategic commitment to digital access is necessary, now more than ever. A TFL working group has recently been set up to help Sightsavers work in partnership with local NGOs, ensuring accessible technology and devices are available wherever possible. The working group includes programme and policy teams, and other staff with an interest in promoting TFL for people with disabilities in Sightsavers’ development work. Sightsavers is working to identify all devices and software currently used within its programmes, and establish a position regarding TFL at the programme level. The results of this situational analysis will form the basis of a comprehensive report which will be used to guide a post-2013 Technology for Life strategy. India is one of the countries where we’re gradually seeing access to technology make a difference in the lives of people with disabilities. The two case studies below show how the right tools can create inclusive learning and working environments, keeping those with visual impairment from falling behind their peers. Brihaspati was born with albinism and had always had problems with his eyesight. Due to a lack of eye health services in his district, he wasn’t clinically tested so his vision problems weren’t evident until he started to struggle to read and write when he was about eight years old. His classroom performance dropped, and with it his confidence. 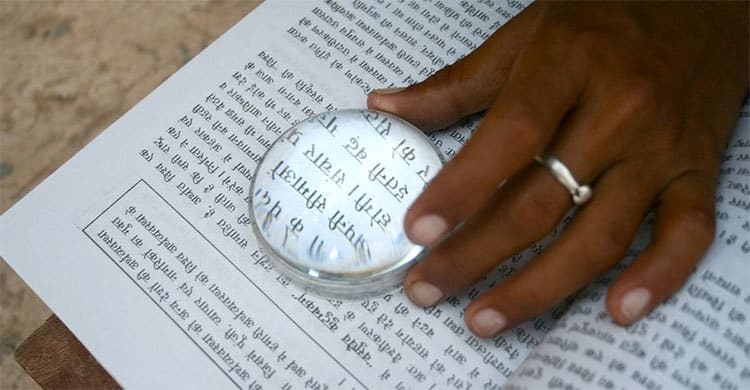 After being brought to Sightsavers’ attention by a village head, Brihaspati was assessed and diagnosed with low vision. He was supported by Sightsavers to receive a special magnifying dome and reading desk to help him at school. The dome and desk have made a huge difference – Brihaspati now happily participates in class lessons and is doing well in his exams. 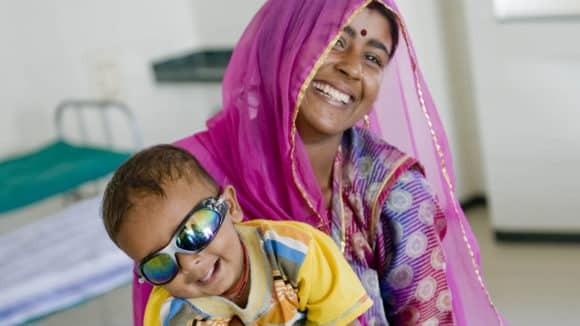 When he was about four years old, Mohith’s parents noticed he had vision problems. His eyesight deteriorated gradually, due to the incurable condition retinitis pigmentosa, until by the age of 13 he had lost almost 80 per cent of his vision. Studying in mainstream school became difficult. An introduction to Enable India (a Sightsavers partner in Bangalore) gave Mohith access to computers and screen reading software, and a whole new world was opened up to him. He underwent life skills training supported by Sightsavers and got a job with the third-largest IT company in India in their recruitment division. 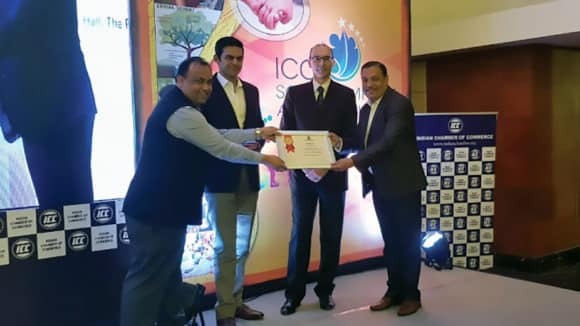 Sightsavers believes in promoting indigenous technologies in eye healthcare to ensure a wider reach.